Philip Sanzica was appointed Chief Deputy Water Resources Commissioner in January 2013 and served in that role until April, 2017. He began his Oakland County tenure in 1972 as a Civil Engineer I in the Department of Public Works, the forerunner to the Water Resources Commissioner’s office. 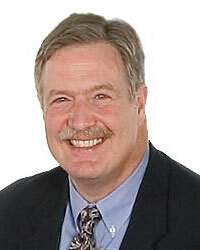 Phil left Oakland County in 1979 to work as a Manager of Municipal Services with a local consulting engineering firm. He later served as a Project Manager for an underground construction company that developed and managed municipal projects in Michigan and Florida. He returned to Oakland County in 1986 where he was a Chief Engineer until November 2012. As WRC chief deputy, Phil managed the day-to-day operations of the office. He was responsible for overseeing all project developments, from inception to completion, planning, engineering, grant administration, financing, and operations and maintenance. The projects he supervised included interaction with local, county, state and federal agencies involving permitting, grants, loans and community relations. He is a recognized expert in implementing large municipal infrastructure projects and innovative financing through the State of Michigan’s State Revolving Fund Loan Program. He also has represented the Michigan Association of Counties as a member of its State Revolving Fund Advisory Committee. A 1972 graduate of Michigan State University with a Bachelor of Science Degree in Civil Engineering, Phil is a Registered Professional Engineer and a licensed S1 Water Systems Operator in the State of Michigan. He is also a member of the City of Troy Planning Commission, the American Society of Civil Engineers, the Water Environment Federation and the American Planners Association. He currently lives in Troy, Michigan with his wife and two cats.